If all goes well, I'll be in Chicago from March 3-4 and Ann Arbor from March 5-6. More on this later. I wonder how 50 Cent can say "I'll let you lick the lollipop" with a straight face. The television series Las Vegas has become its own version of the titular city, a bastion for entertainers who've declined into commercial irrelevance. Not only does it star James Caan, but this month alone, Duran Duran, Jay Mohr, Dean Cain, The Pussycat Dolls and Sylvester Stallone all guest starred. The main attraction at the Stratosphere Hotel in Las Vegas is the tallest freestanding observation tower in the United States. On top of the tower are amusement park rides. When the tower first opened, I was wary of its thrill rides and still am. I mean, would you ride this ride? Call me a wuss, but I'd never willingly be propelled head-first 27 feet over the edge of a 1,149-foot tower (repeatedly, no less). 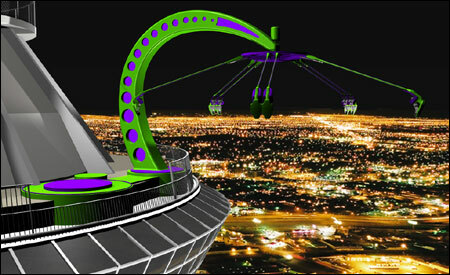 The Stratosphere Tower will soon debut its fourth ride, Insanity, an inverted centrifuge that consists of an arm that extends out 64 feet over the edge of the tower and spins passengers at up to three Gs. 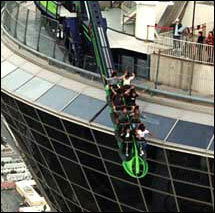 As the ride spins faster and faster, the passengers are propelled to an angle of 70 degrees. This can't possibly be safe. I foresee the gigantic balls of the first group of riders weighing the arm down and snapping it in two. "Hysteria" by Muse is just waiting to be used in a movie trailer. I proposed Batman Begins but Adam Robot thinks the song is "too uplifting" for Batman. In a perfect world, Lucasfilm would boldly incorporate it into the final Episode III trailer (which, by the way, premieres March 11 in front of Robots). 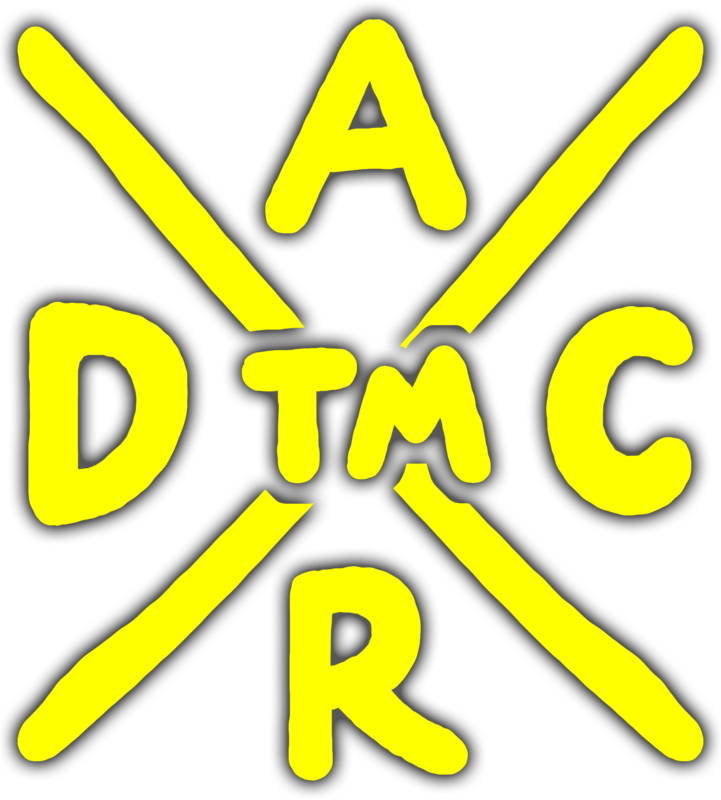 Good to know that all I need to do to quit smoking is have Satan physically remove the tar in my lungs with his hands. Tony messaged me and said that his ".5 asian girlfriend" (which, at first, I read as "1/20 Asian" and scratched my head) wants me to write "more asian stuff" on the site. At work the other day, Marsha and I played a little game. We both agreed that the Japanese are the white people. I considered Koreans to be the black people, but Marsha argued that Filipinos are the black people, pointing out that while both races are rather ghetto, unlike Koreans, most Filipinos sing and dance well. So Koreans are the Latinos. I usually say the Chinese are the Chinese, but the rules specified "non-Asian race." Marsha suggested the Jews. Makes sense, I thought. Both races are cheap and both love to eat Chinese food. As for the Hindians, I don't regard them as Asian, but I suppose that they're the Europeans. Europeans, of course, appear to be regular white people but can't shake their inherent foreignness.